Aprilia Caponord Demo Tour comes to Austin. Get your daily dose of Adventure on May 28. The Caponord Tour will be making a stop at AF1 Racing Austin on May 28. Demo rides* on the all-new Caponord 1200 ABS Travel Pack will be going on throughout the day accompanied with Aprilia giveaways. 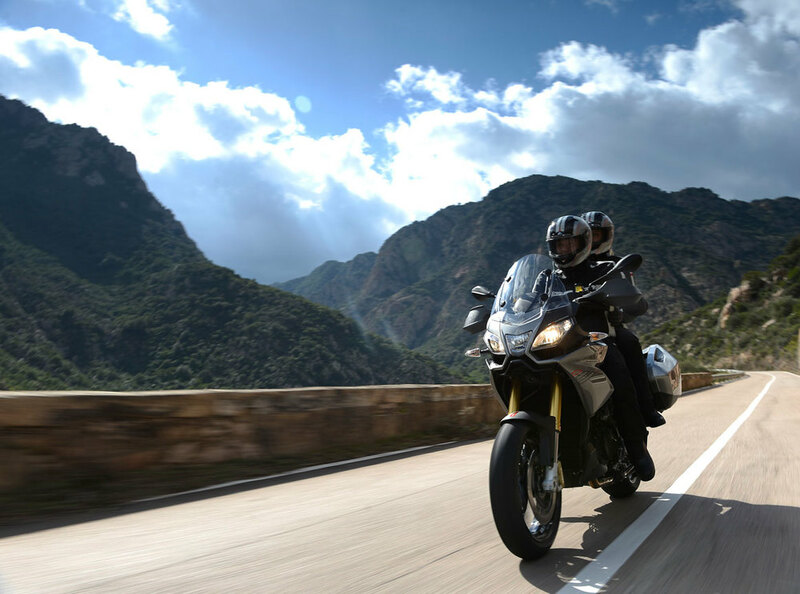 What better way to experience Aprilia's new advanced adventure tourer. With the most advanced technical riding package available, the Caponord 1200 is ready to tackle the forest roads of Tennessee or the rocky tarmac of Utah and everything in between. Demos will be being at 10:30A and will run until 5P, and will be weather dependent. You will have a chance to stop and discuss the bikes with a product expert on hand, and have any questions answered. Experience the different levels of Aprilia's traction control, dynamic damping, 3 way adjustable ride by wire mapping, and anti-lock brakes. Take this opportunity to experience a machine only Aprilia can offer. Just bought a bike? Bring your friend, maybe they'll let you ride their new Caponord 1200 as thanks for introducing them. It'll be a perfect way to get your daily dose of adventure in the middle of your week. *Must have applicable Motorcycle license and appropriate riding gear to participate in demo rides.